The handset runs on a quad-core Snapdragon 425 chipset aided by a 3GB of RAM and 32GB of storage. The 6 Pro features a 5.99-inch 18:9 FullView LCD display with a resolution of 720x1440 pixels and has an 83.4 per cent screen-to-body ratio, and a 2.5D curved glass. 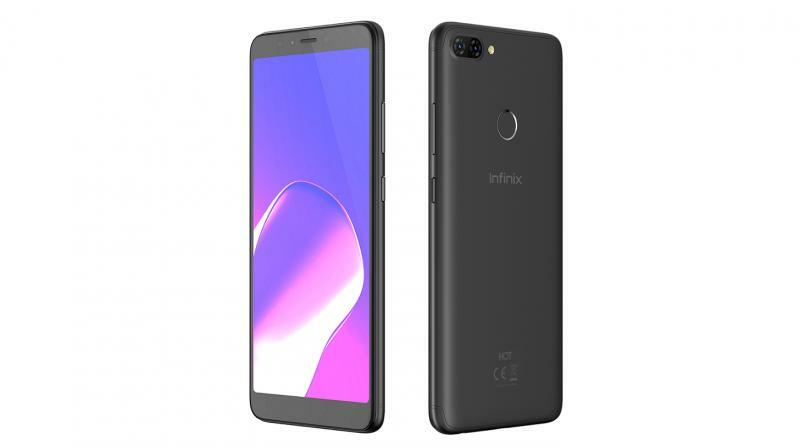 Infinix has launched its latest smartphone Hot 6 Pro in India. The device runs on XOS 3.2 based on Android Oreo out-of-the-box. The device will be available in Sandstone Black, Magic Gold, and Bordeaux Red colour options. The 6 Pro features a 5.99-inch 18:9 FullView LCD display with a resolution of 720x1440 pixels and has an 83.4 per cent screen-to-body ratio, and a 2.5D curved glass. Under the hood, the handset runs on a quad-core Snapdragon 425 chipset aided by a 3GB of RAM and 32GB of storage, which is expandable via a microSD slot. It is backed by a 4000mAh battery with support for 6W charging (5V/ 1.2A). There is a 13MP camera sensor with f/2.0 aperture, PDAF, and a 2MP fixed-focus camera sensor, accompanied by a dual-LED flash. The smartphone facilitates features such as time lapse, portrait mode, night mode, professional mode, panorama, and HDR. Upfront, the device a sports 5MP front shooter with f/2.0 aperture, soft light flash. It supports face unlock as well. There is also a rear-mounted fingerprint sensor. Connectivity options include Bluetooth 4.1, Micro-USB, 4G VoLTE, Wi-Fi and a 3.5mm headphone jack. The Infinix Hot 6 Pro retails at a price of Rs 7,999 and will go on sale in India within a week, exclusively via Flipkart.